The DELUXE digital edition contains a MASSIVE 63-page “Special Features” section which includes an interview with ALEXANDER, as well as a behind the scenes look at sketches, line art and unused artwork. It also features a gorgeous gallery of all the series characters, a covers gallery and some guest pinups by MAKO FINN creator, Patrick Fillion as well as a silent edition of the comic. This Deluxe Digital Edition contains a MASSIVE 63-page “Special Features” section which includes an interview with ALEXANDER, as well as a behind the scenes look at sketches, line art and unused artwork. 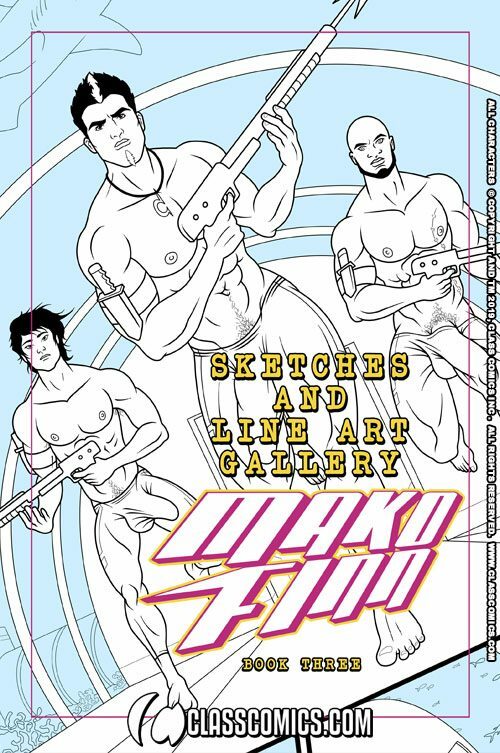 It also features a gorgeous gallery of all the series characters, a covers gallery and some guest pinups by MAKO FINN creator, Patrick Fillion as well as a silent edition of the comic.